Anyone who has owned a dog or cat knows that having a quality toy is important both for the safety of their companion and for the safety of their wallet. Chew toys especially need the capability to handle constant gnawing and attempts of destruction. 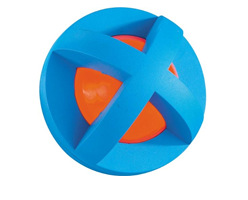 Thermoplastics are an ideal solution for making pet products, including toys. They’re safe for the animal to use and they can be easily molded to offer a variety of textures and experiences necessary to keep the animal’s interest. Thermoplastics are some of the most versatile materials available on the market. They can be formed to make just about any conceivable tool, toy, or accessory for a pet. It simply takes a creative mind to see the possibilities and with pet products that means everything from squeaker toys to collapsible food bowls. One feature that designers love is the range of clarity that thermoplastic elastomers come in, as well as, how easy they are to color. When you put them together they make some of the most visually appealing toys that both the owner and pet like. Read this case study on how we helped one company with their pet product dilemma. 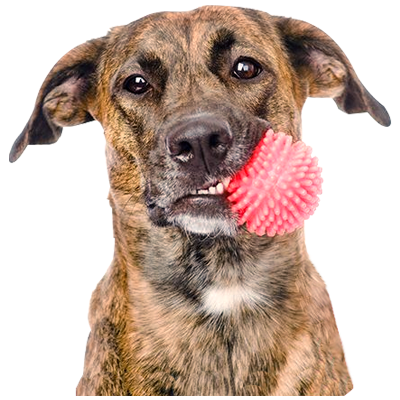 What Makes Thermoplastic Elastomers Great for Pets? 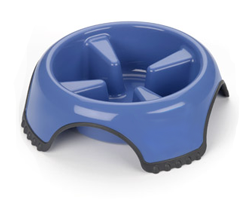 TPEs can be used to make anything from hard chew toys and water dishes to entire dog houses. With properties similar to rubber, TPEs can become toys that are squishy, fun to play with, and easy to clean. It is important to an owner that their pet products are made with safe material and we here at Star Thermoplastics have made a Pledge to Pups to ensure to our customers that we only produce non-toxic, quality material. Our StarPet® product line was formulated just for pets. All of our StarPet® TPE is free of PVC, latex, metals, and phthalates so you won’t have to worry. Read more about our StarPet® TPE 8000 Series. The soft, rubbery thermoplastic used for toys is great for most pets. Durable and strong, it will take most animals some time to chew through and wear down TPEs. Thermoplastics also have a wide range of colorability, assuring that the toys you make are bright and draw attention. 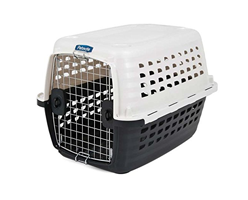 Thermoplastic can be used to build and enhance pet carriers and kennels. Soft plastic can be used to improve the handles, making them more grippable and more comfortable to hold. TPEs can also be utilized for making better flooring within the carriers, improving the stability of the animal inside. Thermoplastics are easy to clean, which makes it great for post-transportation cleanup.